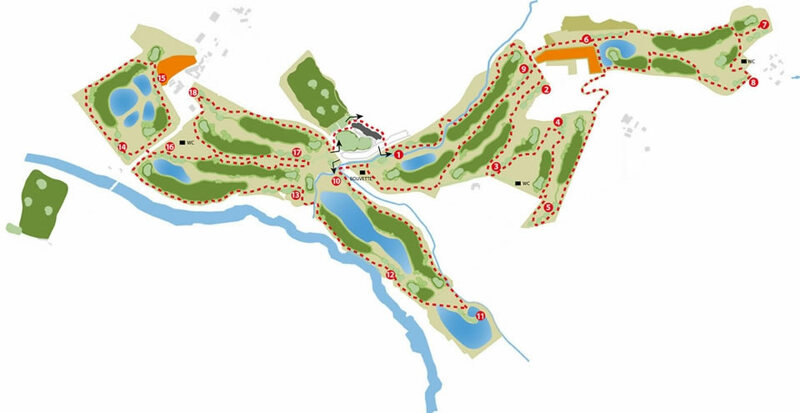 A new golf course is less than 10 Km (10 min.) away, and Architect Luigi Caremoli skilfully introduced it into an enchanting hill landscape. The course articulates over a length of 6,240 m with 18 holes, Par 71, and covers an area of 75 hectares. The Club House is provided with all services connected with the golfing activity: the pro-shop with the best brands, the changing rooms, the caddy master, the summer pool and the day-spa, which includes a solarium, a Jacuzzi, a tepidarium, a Turkish bath, a sauna, a relax area and a fitness room. * During holidays, it is compulsory to book the start time at the GOLF desk.